Chiropathy is a religious healing art and registered with the California Secretary of State, the Secretariat for Canonical Affairs in Belgium, and under the omophor of the Syriac_Greek Antiochian Synod of the Eastern Orthodox Catholic Metropolitanate. Its degree titles and processes are registered with the Council on Education of the Commonwealth of Virginia, and administered to by St Mark's Seminary & College of Alexandria Virginia. Based upon spiritual counseling and theocentrism it is combined with meridian healing, touch healing, anointing, prayer therapy, aromatherapy, nutritional education, and other related modalities solidified into one theocentric and holistic oriented healing art. What is given to us naturally by God - may naturally be given to the people of God. Recently, the Commission has come to realize that certain equipment can be used to enhance the progress of healing, e.g., the use of ozone hyperthermia spas, theocentric microscopy analysis, and bio-meridian testing devices. The Commission is constantly reviewing and investigating other sound non-invasive therapies that can be considered for inclusion in its professional "Scope of Practice". There is one academic institution empowered to offer the undergraduate or doctoral degrees in Chiropathy, and that is St Mark's Seminary & College of Alexandria. The undergraduate program requires successful completion of 120.0 academic credits earned through study, or a combination of study and/or research, seminars, practical experience, and/or cocurricular experiences. Like many other professional degrees, it does not mandate the earning of a graduate degree for the doctorate, but does require the successful completion of 78.0 academic credits (including 21.0 specialization credits on the licentiate level). Restructuring of the program is now being considered by the Commission and Synod. Another institution may soon be chartered to grant similar degrees, St Joseph Hospital in Nigeria. Degree Challenge Process – Chiropathy. 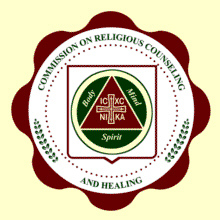 Currently, and for a limited time, Romano Byzantine College is accepting eligible candidates into their degree challenge program for Chiropathy. Applicants submit an application with photo, bio-data, academic and professional portfolio for review. The Review Committee determines if the applicant has met academic requirements through other experiences and practica, and then advises if there are any academic core requirements to complete. The degree is awarded after a successful review and completion of any other requirements. A discounted process oblation is now in effect but may be discontinued. Among those highly considered are degrees or substantial credits in Chiropractic, Holistic Medicine, Naprapathy, Nutrition, Naturopathy, Oriental Medicine, Ayurveda, Nutrition, Botanical Medicine, Osteopathy, or other recognized and related disciplines. Degree Challenge Process - Theocentric Holistic Psychotherapy/Counseling. The same norms govern this temporary option as above for Chiropathy. However, the applicant must have academic experience related to counseling. An undergraduate process is available to those meeting requirements. Those applying for a graduate degree must hold a recognized undergraduate degree or equivalent; and those applying for the doctorate must hold a recognized graduate degree or equivalent. A challenge process is available to eligible applicants.